Secretary to the Ministry of Defence Eng. Karunasena Hettiarachchi yesterday said that he would appoint a tri-forces preliminary investigation committee to probe the Sunday’s explosions and fire at an ammunition dump in the Salawa Army camp in Kosgama. In addition to the probe by the committee comprising senior officers of the tri-forces, the CID would conduct a separate investigation, he told. explosion and there would be a magisterial inquiry, too, Karunaratne said, adding that the police had been instructed to assist in investigations. The decision to appoint a tri-forces preliminary investigation committee had been taken at the Security Council meeting held yesterday with President Maithripala Sirisena presiding, Hettiarachchi said. The Defence Secretary said that the President had ordered stepped up security at armouries and explosive stores to avoid the recurrence of similar calamities in the future. The President had issued orders that immediate relief should be provided to the affected residents in the area and their houses and properties be restored by the government agencies. The Defence Secretary said that the Security Council did not rule out the possibility of sabotage. 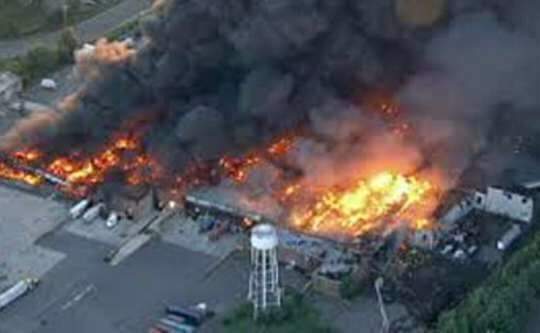 He said that the investigators were not in a position to state categorically the causes, impact of the explosion and estimates of the damage yet. Those details would be provided as soon as the investigations were completed, he added.